Performance Time: Approximately 45-60 minutes, 47 pgs. FABLE. 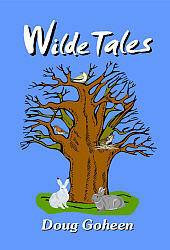 This collection features three well-known fairytales by Oscar Wilde adapted for the stage. All three tales mix elements of fantasy and fable. In “The Nightingale and the Rose,” a poor tutor must find one red rose to win a chance to dance with the princess at the ball. In “The Happy Prince,” the statue of a prince comes to life and is determined to help the poor by giving away the jewels and gold that adorn him. And in “The Star-Child,” a poor woodcutter rescues an infant and raises the child as his own even though he barely has enough food for his own family. These tales of self-sacrifice and love have charmed young audiences for more than a century.